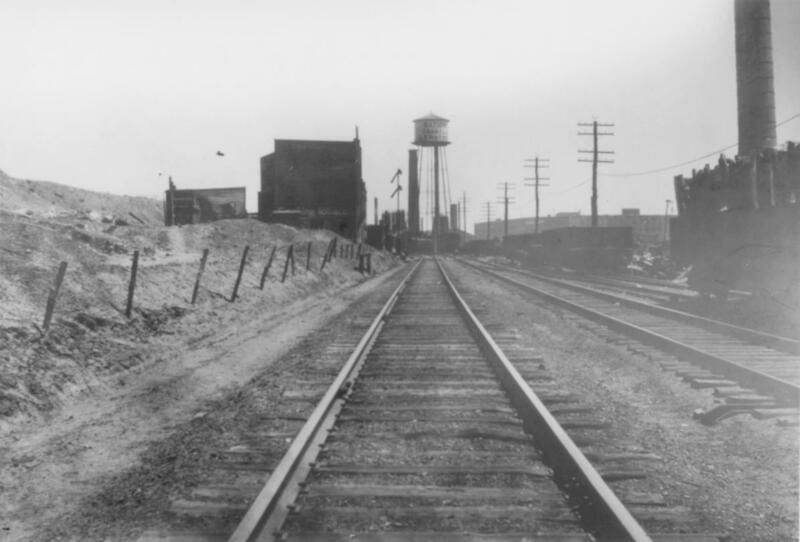 THE HUNTERS POINT & SOUTH SIDE RAILROAD COMPANY WAS INCORPORATED JANUARY 5, 1870 AND WAS TAKEN OVER BY THE SOUTH SIDE RAIL ROAD SEPTEMBER 14, 1872. 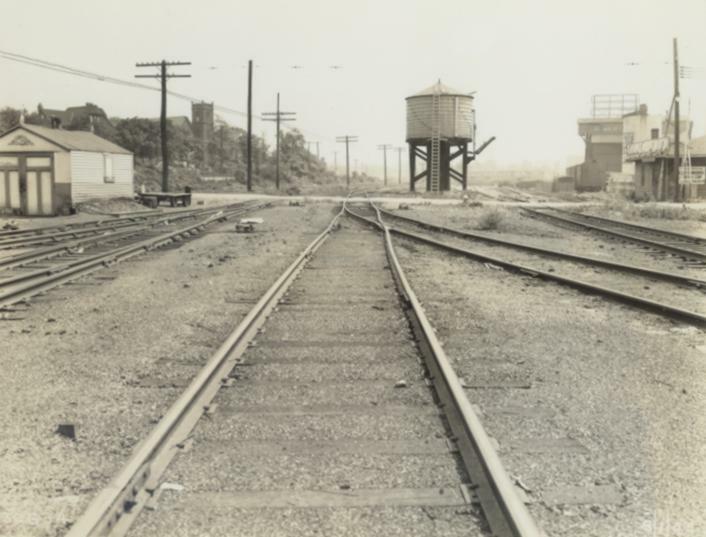 IT WAS BUILT TO CONNECT THE SOUTH SIDE RAIL ROAD AT BUSHWICK JUNCTION WITH THE WESTERLY PORTION OF THE RECENTLY PURCHASED NEW YORK & FLUSHING RAIL ROAD AT LAUREL HILL. 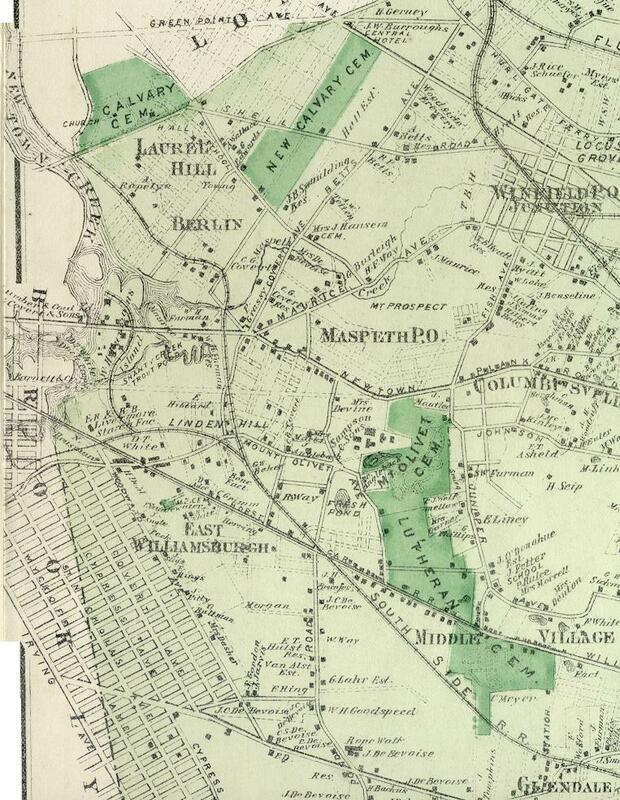 THE 1873 COLTON MAP SHOWS THE NEW YORK & FLUSHING RAIL ROAD. BENEATH THE NAME "BERLIN" THE H.P. & S. S. CURVES TO A CONNECTION WITH THE N. Y. 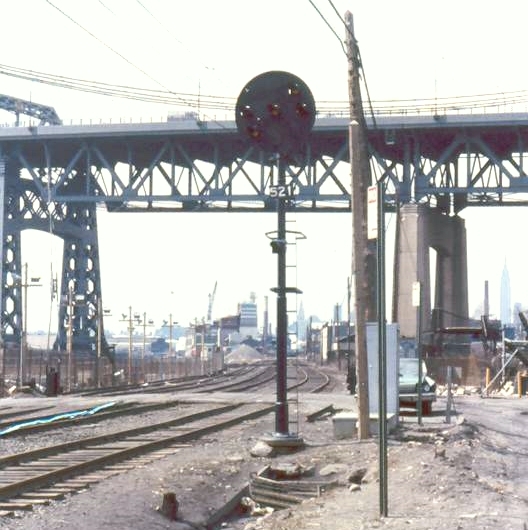 & F. R. R. AT "NEW YORK & FLUSHING JUNCTION". 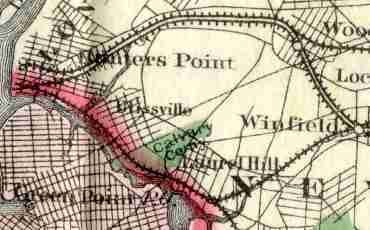 WHEN THE BROOKLYN & MONTAUK RAILROAD DOUBLETRACKED THIS LINE IN 1880 A REALIGNMENT OF THE RIGHT OF WAY PRODUCED A GENTLER CURVE. 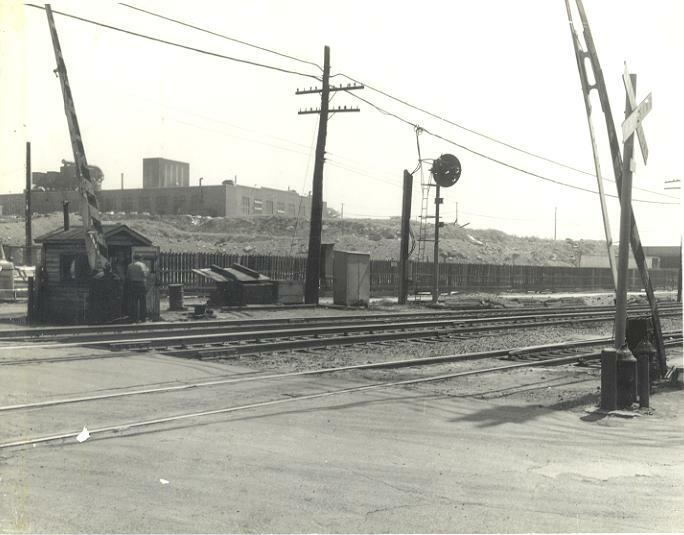 THE PHELPS DODGE COPPER REFINERY AFTER IT HAD CLOSED. THIS HAD BEEN THE L. I. R. R.'S LARGEST CONSIGNEE. 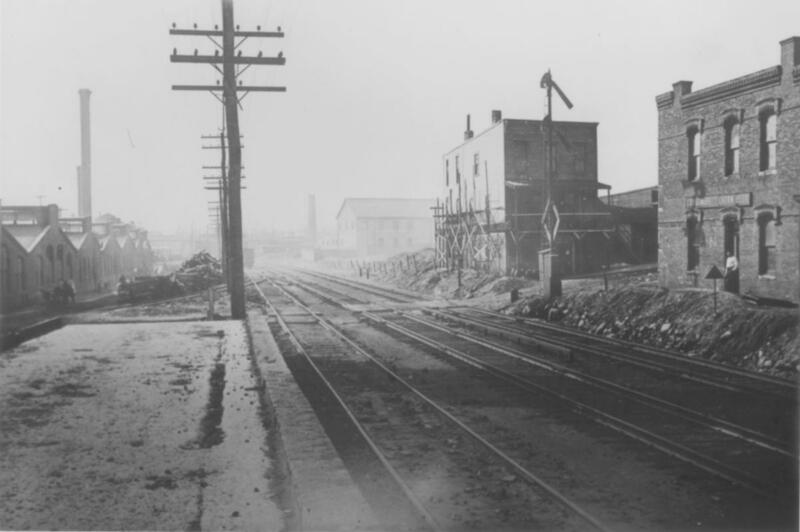 LOOKING NORTH JUST SOUTH OF CLIFTON AVENUE (46th STREET) IN 1910. 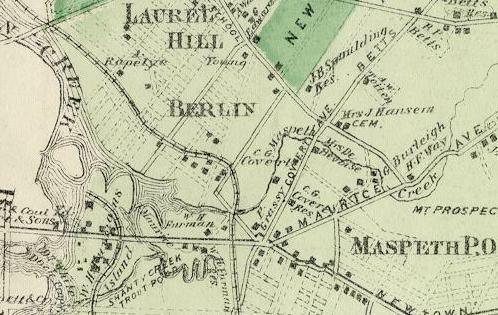 IN THE 1880'S AND UNTIL SEPTEMBER 1892, THIS WAS THE LOCATION OF LAUREL HILL STATION. 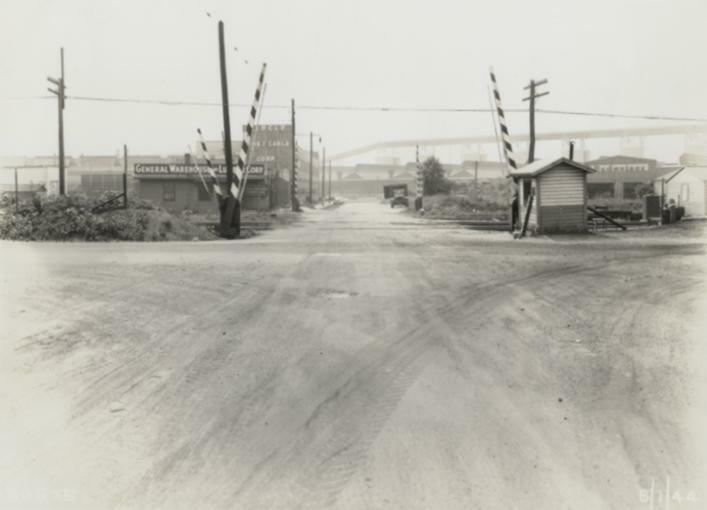 LOOKING EAST AT HABERMAN'S CROSSING - DEBEVOISE AVENUE - IN 1910. 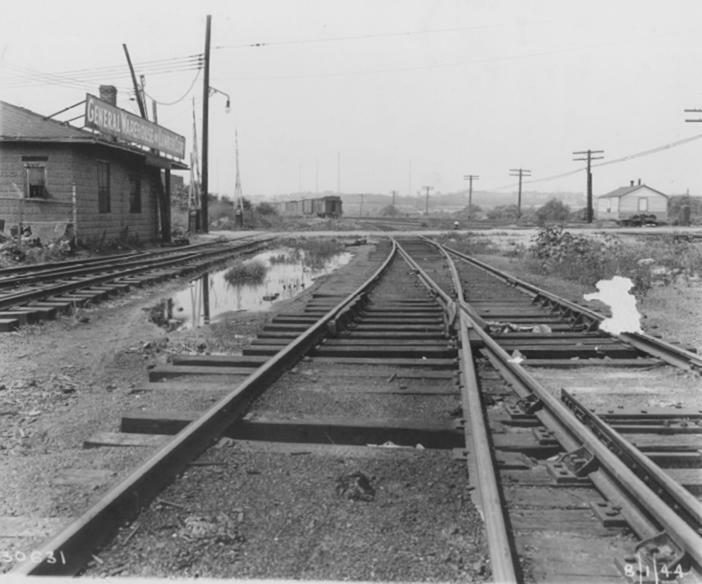 THE RIGHT OF WAY OF THE FLUSHING RAIL ROAD, LATER NEW YORK & FLUSHING. 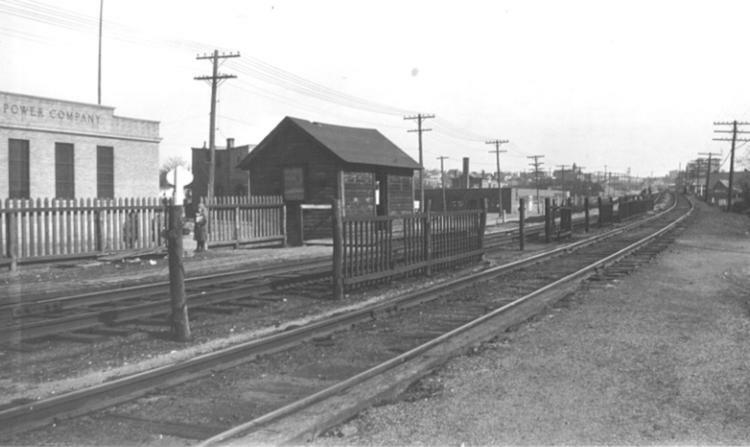 LOOKING WEST AT HABERMAN STATION IN 1910. 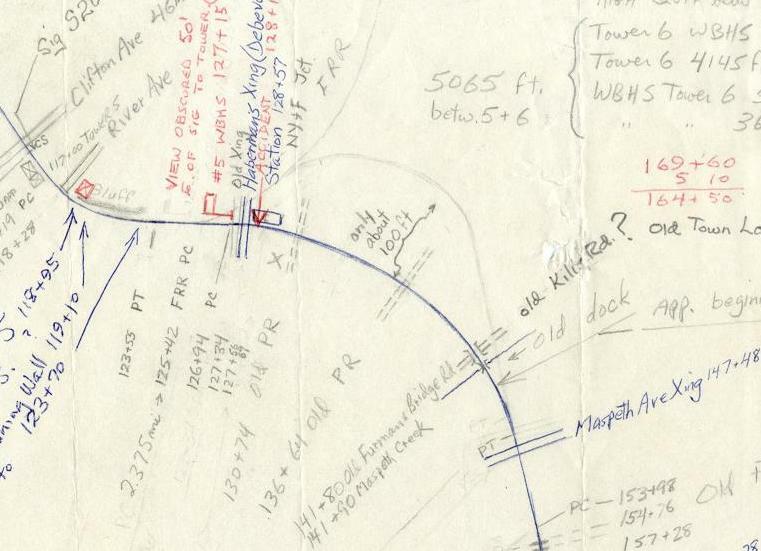 THE SECOND LH TOWER - ORIGINALLY TOWER NUMBER FIVE - WAS LOCATED EAST OF THE STATION. PIPELINE TO THE SWITCH AND DERAIL AND THE BRACKET POLE HOME SIGNAL ARE SEEN. 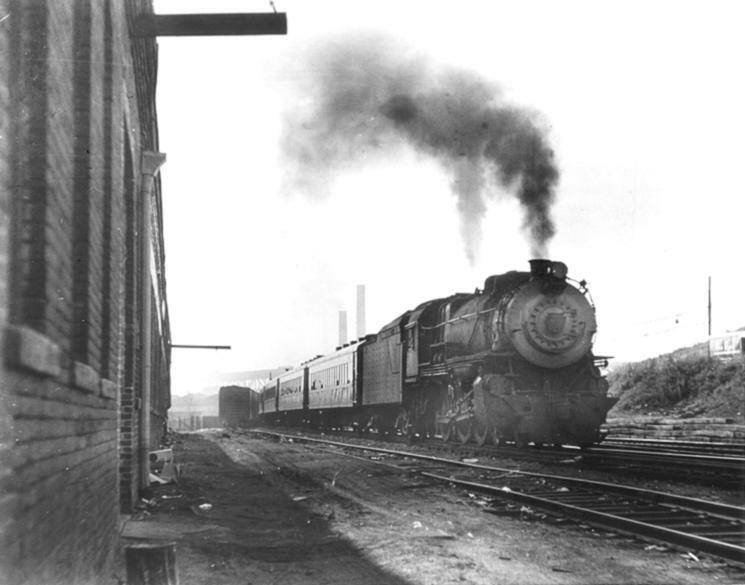 BILL SLADE PHOTOGRAPHED ENGINE 39 WITH TRAIN NUMBER 554 ARRIVING AT HABERMAN. 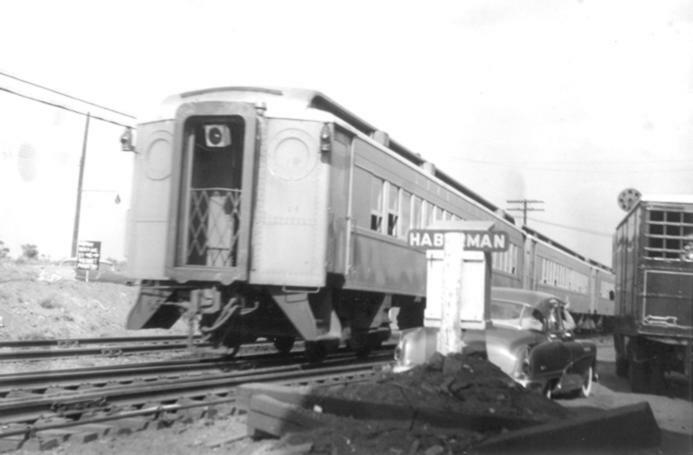 BILL SLADE PHOTOGRAPHED AN EASTBOUND TRAIN DEPARTING HABERMAN. 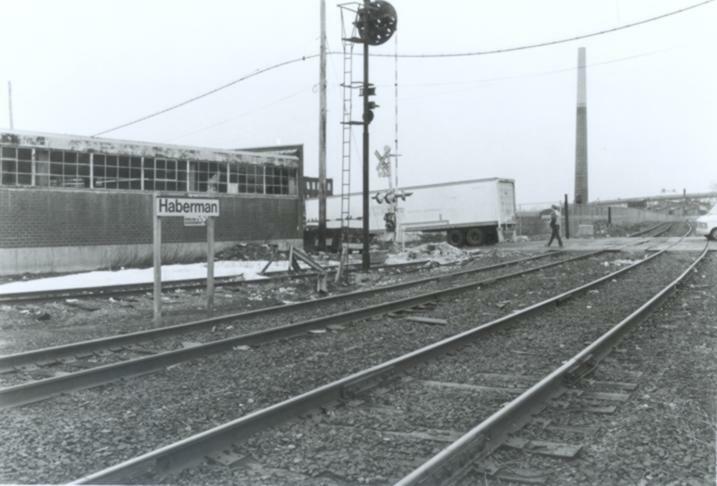 BILL RUGEN PHOTOGRAPHED THE STATION IN 1962. 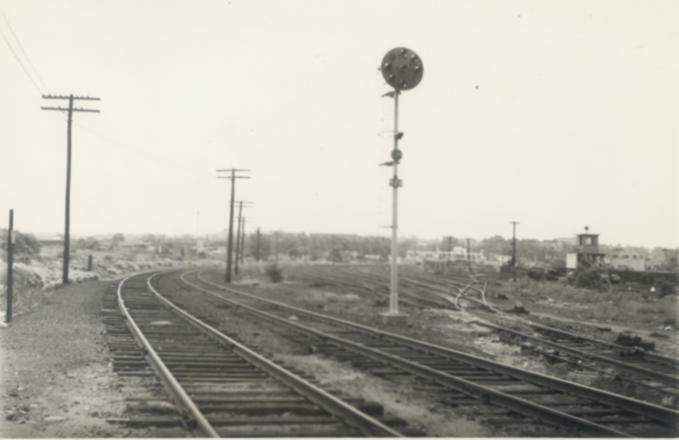 THE AUTOMATIC SIGNAL IS A "GRADE SIGNAL" - DESIGNATED BY A YELLOW DISC WITH A LETTER "G". "STOP AND PROCEED" AT RESTRICTED SPEED WITHOUT STOPPING. IN 1998 JUST BEFORE THE STATION CLOSED. 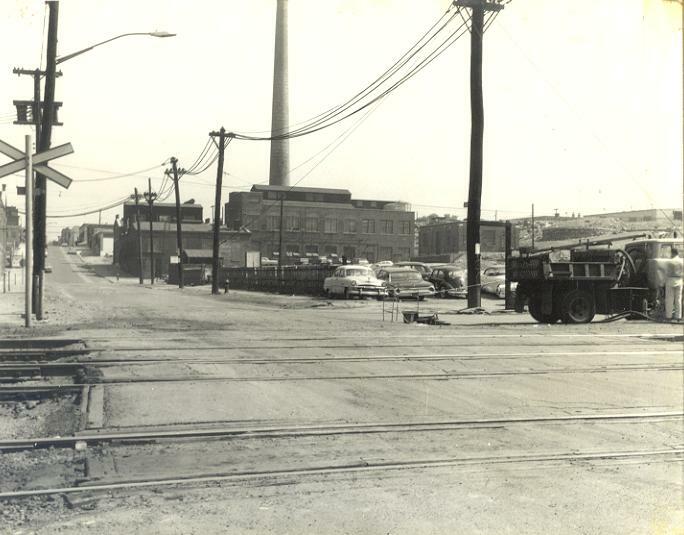 THE U.S. NAVY YARD WHERE CARS WERE SWITCHED BY THEIR SIDE-ROD PLYMOUTH DIESEL.